Deathgarden Announced for PC | Nerd Much? Today’s reveal trailer doesn’t showcase any gameplay. However, there are some screens on the game’s website that hint what the game will consist of. 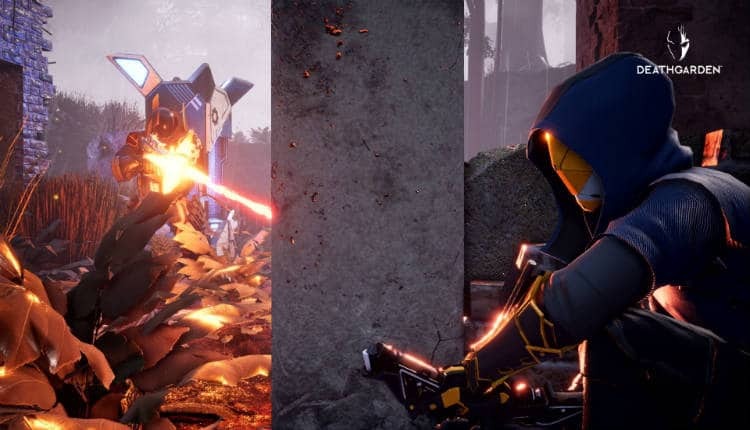 Within Deathgarden, the Hunters are “heavily armed champion whose mission is to kill the runners.” Whereas the runners are nimble and fast and appear to utilize a small bow of some sort to help defend themselves. There looks to be parkour elements to the runner’s mobility as well. From Osborne’s statement, it seems that Behaviour Digital is doing what many publisher and developers are attempting these days. Producing a game that is just as fun to watch streamed as it is to play. The game is only announced for PC at this point. The developers are bringing it to PAX East so that the public can go hands on with it for the very first time. Behavior Digital is also hosting a closed alpha in the near future. You can head to Deathgarden’s website to sign up today.